Are you a gamer? A workaholic who spend hours in front of the computer every day? Or are you a person who just developed a habit of using smartphones or tablets during bedtime? If yes, do you know that you are exposed to harmful blue and UV rays that these devices’ LED screens emit? Such high energy rays are harmful to your eyes, cause headaches, eye strain, dry eyes, blurred visions, eye irritations, and even chronic eyesight problems like retina damage. J+S Vision Blue Light Shield Computer Glasses provide you the protection against harmful rays you are looking for. This pair of computer glasses is manufactured by one of the top US brands, J+S. It comes in a modern, rectangular design and black frame that add style and elegance to it. 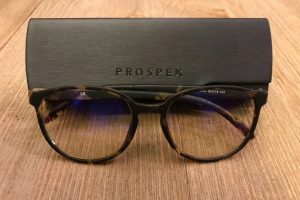 With a 0.0 magnification, this pair of glasses is designed for people who tend to stare at the screen for long hours like gamers and graphic designers, video editors, etc. The glasses feature a polished black frame with high-definition lenses. They have a design that is a perfect fit for both male and female. As the temples are loaded with springs and very flexible, they can fit most of the head sizes without any issues. Also, the nose pads used are very comfortable and have high quality as the glasses leave no frame marks even after extended use. 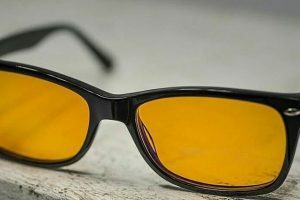 The high-quality, high-definition and slightly yellow-tinted lenses are designed to block all harmful rays which make it one of the best computer glasses for ultimate protection. 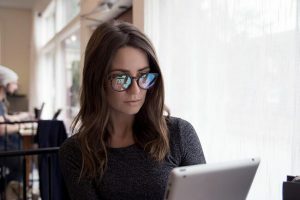 The pair of J+S Vision Blue Light Shield Computer Glasses is a quality option when it comes to protection of your eyes. It is available in black color and comes in modern rectangular style and sleek design. The glasses can effectively block the blue rays and only allow the necessary rays to keep the vision clear. It can relieve headaches, eye strain and can make you sleep well. The size is a good fit for almost all head sizes, as well as for both sexes. It is extremely lightweight that makes it very comfortable to wear. 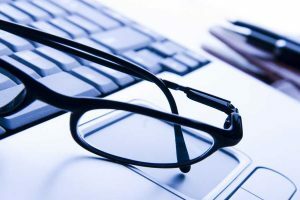 Compared to other anti-blue light computer reading glasses, the J+S Vision Blue Light Shield Computer Reading Glasses score a little higher when it comes to features and performance. 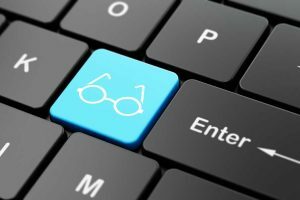 For example, if you compare it with another popular computer glasses, Eyekepper Vintage Computer Glasses, you can find significant differences. First, they both come with a different design, frame style, and lenses. The EyeKepper Glasses are of vintage style with round lenses and frame, and tortoise color. On the other hand, the J+S Computer Glasses are black in color and rectangular in form with a more modern look. The EyeKepper lenses have a blue tint, but the J+S lenses have a yellow tint, which makes them both look very different. The EyeKepper lenses also have slight magnification, but the J+S lenses come with zero magnification. Performance-wise, both are a good option for you. 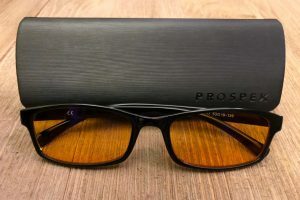 Both the glasses can efficiently block harmful blue rays. You experience less or no mild headaches, eye strain, and other eyesight issues due to LED screen exposure by using them both. So, it boils down to your design preference when it comes to buying between the two. If you are more into modern design and like yellow tint, the J+S Vision Blue Light Shield Computer Reading Glasses are a better fit for you, but if you like vintage style and round lenses, EyeKepper can work well. 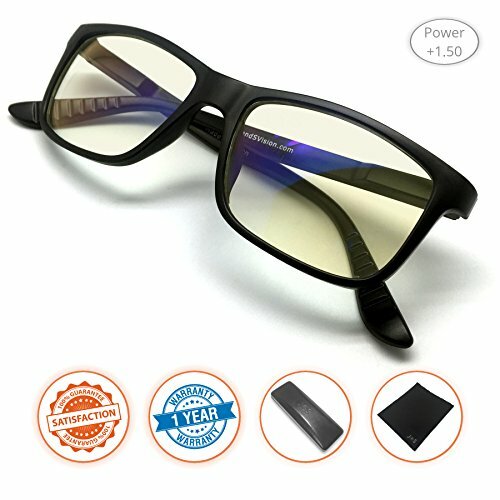 If you are a gamer or a worker who is in front of a computer for hours, you need protection from harmful rays, and J+S Vision Blue Light Shield Computer Glasses are among the best protection you can get. 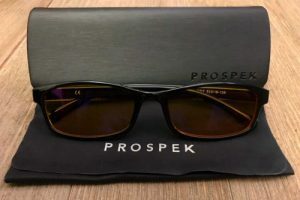 They are lightweight glasses with high-quality frame and lenses. The modern rectangular design makes you look good with the glasses on. But what makes it a good option for you is its ability to block harmful blue rays. It can relieve a headache, fatigue, eye strain, and similar problems that occur due to the exposure to LED screens. You can wear them while using smartphones, computer, tablets, and when watching TV. By using them at night, you can have a deep, restful sleep which is not often possible after nighttime use of smartphones and other LED screens. Simply put, if you care about your eyes and overall health, there is no reason not to use this one. I have a pair of these, but a different model. I do like them but I’m interested in what the GUNNARS are like. I didn’t realize that there were glasses for staring at screens all day. This is interesting!